With Lucy Durack leaving the stage to take on her next “thrillifying” role as a mother, comes news that original ensemble member Suzie Mathers will be taking over the role of Glinda for the 2015 Brisbane and Perth seasons. 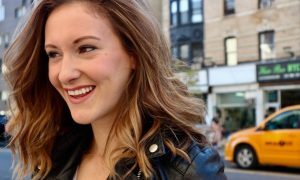 Here we chat with Suzie on returning to the role that saw her tour internationally, and the differences between the Australian and British musical theatre scenes. Congratulations on securing the role of Glinda for the 2015 Brisbane and Perth seasons! You must be thrilled. Suzie Mathers from ‘Wicked’. Photo courtesy of Mathers. Having relocated to London, how does it feel to be back performing on Aussie soil? 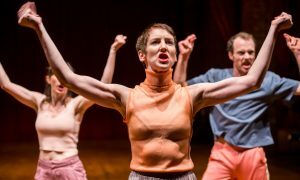 How different is the musical scene in London, compared to Australia? 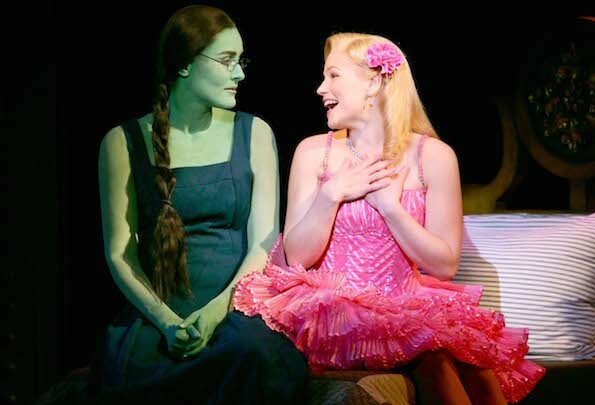 Having performed the role of Glinda internationally since 2011, does the role have a special place in your heart? Why do you think Wicked is such a huge hit? 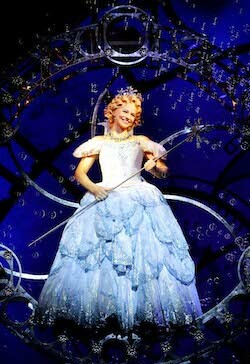 Suzie Mathers as Glinda in ‘Wicked’. Photo by Maye Wong. Do you feel you have big shoes to fill with the departure of Lucy Durack? After its record breaking run in Melbourne and Sydney, Wicked transfers to QPAC from 12 February and to the Crown Theatre, Burswood from 3 May for a strictly limited season. For tickets and more information visit wickedthemusical.com.au. 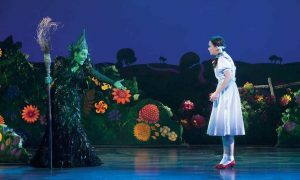 Photo (top): Jemma Rix and Suzie Mathers in Wicked. Photo by Andrew Ritchie. Ashi Ross – dancer to scented fashion designer?